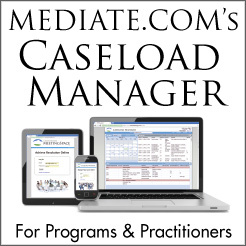 One of the great challenges for mediators is that every case presents unique circumstances. One such challenge arises when Mediators have to make a determination as to the mental capacity of one or more parties. These situations can occur in any type of case, but particularly in personal injury or disability cases. Arguably, a mediator acts as a facilitator, and assumes an authority as granted by the parties, but does not function as an attorney, giving “legal advice” or advocating for the client’s best interests. Rather, it is the mediator’s job to facilitate the interaction between the parties to seek a “mutually acceptable agreement” between the parties. In doing this, the mediator may assist in crafting a Memorandum of Understanding that constitutes the agreement between the parties, IF, the parties reach agreement. Hopefully, they have sought advice from attorneys and others. However, once they sign the agreement, it becomes legally binding. Nevertheless, the agreement may come under scrutiny at some later time because one or both of the parties has an honest difference of opinion; buyer’s remorse; or a party wants to back out of the “deal” for some other reason. While a significant number of mediators are Mental Health professionals and may be competent to make a legal determination on a party’s competency to mediate, most mediators do not have this expertise. This article will define the criteria for mental capacity and will develop guidelines for the mediator to determine capacity. Because the party may be represented at the mediation, and because the purpose of mediation is to come to an agreement that is “mutually acceptable” to the parties, it is appropriate for the mediator to at least determine whether the parties have the capability to attempt to reach this objective. If a party is mentally incapable of participating, a power imbalance automatically materializes, and therefore the mediator, in most such cases should impasse the case. In order to discuss the issue of mental incapacity in mediation, we need to define what mediation really is and why mental competence is essential. While the following definition is not intended in any way to be an all inclusive definition of mediation, it is intended to describe the basic process in a way that is universal with respect to mental competence in mediation. The mediator is usually skilled in helping people articulate their requests. If the mediator has the appropriate abilities and creativity, what is required of the parties? While the above two concepts have similarities on first view, they are, in fact, very different. This difference is the key to the problem stated above. In the case of determining self-interest, the mediator can help value or put a “utility” on the items identified, but it is not possible for the mediator to fully determine the interests of the party without the party revealing a total psychological gestalt, which encompasses the totality of their self-interest, including injury potentially both physical and psychological. Often, the mediator can help the party determine their self-interests. If the party can present his or her requests and can discuss other relevant issues arising from such request, then the mediator sees that the party can determine its self-interests. However, there is another element: “acceptability.” In this case, the mediator is NOT able to help the party, the mediator cannot characterize the settlement offer, and therefore, the function of “self-determination” must be a capacity of the party. If the party can determine what is “acceptable”, then the party has the power of “self-determination”. The mediator, however, cannot “characterize” a settlement offer as acceptable or unacceptable because it is beyond the scope of the mediator’s responsibilities and authority. It is inappropriate for the mediator to offer an opinion as to the acceptability or unacceptability of any agreement subject to the mediation at hand. There is an ethical obligation of the mediator to determine that the parties have the power of self-determination. In any event, the mediator cannot assist the party in self-determination. The mediator can discuss different available options, but the Mediator has no power of adjudication. Therefore, the mediator must have a level of comfort that all parties have the “ability of self-determination” in order for the mediation to proceed. If the mediator does not feel that one or more parties will be able to indicate what is “acceptable” to them, considering the self-interests elucidated then the mediator has a duty to impasse the mediation. Because the courts view competence as a question of fact, the bar is reluctant to articulate a standard to determine competency for health, particularly mental health or other decision-making. Instead of using a particular standard, courts are more likely to let physicians, psychiatrists in particular, testify about the capacity of the patient. Practically, courts rarely are involved in formal capacity assessments of medical decisional competence. (Stavis, 1999) The concept of legal capacity is that one or both of the parties are lacking the mental capacity to enter into a contract. Presently, the mediators are left to their own devices to determine whether to enter into mediation when one or both of the parties may be legally incapacitated. Some mediators go right through the mediation; others require that relatives or close friends attend the mediation; others strongly suggest that an attorney review the proposed agreement before entering into a contract. Capacity to Participate in Mediation First, does the person have the mental capacity to enter into a legally binding agreement? Mental capacity is a dynamic “on the spot” issue. You, the reader, have capacity. If you were hit in the head with a hammer and lost consciousness, you would lack capacity, though be legally competent. If you regained consciousness, you would either still be (1) legally competent or have capacity again or still be (2) legally competent, but lack the capacity to make certain decisions because of traumatic brain injury. Capacity can be assessed by a variety of people. Generally, the most knowledgeable are mental health professionals (psychiatrists, psychologists, psychiatric social workers, etc.). A mediator, on the other hand, needs to have a degree of information and understanding about mental capacity that is commensurate with the risk of her/his judgement being inappropriate. The inquiry is three-fold: (1)	Is the party receiving information? (2) Is the party integrating that information in a way that reflects a rational, replicable process? (3) Can this person communicate the results? Legal incapacity is based on clear and convincing evidence that a person, because of a mental condition, is totally unable to care for his or her person or property. Whereas, “incapacitated” involves a person who has been adjudicated such; however, s/he retains whatever legal rights are not specifically taken away. When an order pronouncing incapacity is issued, the order appointing a guardian is required, by law, to state whether the determination of incapacity is perpetual or limited to a specific length of time. The purpose of this declaration is to enable a person to retain as much legal control as possible over life and financial affairs. We are quite comfortable with the party who says “I have to talk to my lawyer” or “I want to call my wife” - - typical decision-making supports. Similarly, as mediators, we are generally comfortable even when people do not exercise every right and do not achieve the “best” possible resulting agreement. Once we conclude that a person is competent, it becomes crucial that we struggle mightily not to confuse disagreement with a party’s decision, with reassessment of their competence. Some approaches to this assessment are below. It is important that the mediator understand that both in a legal manner, and perhaps also in an ethical manner, it is the question of “capacity” which is most relevant to the validity of a contract. “Competence” as such is no longer the most relevant factor; rather “capacity” is crucial in determining the validity of a contract. Therefore, the mediator should understand the concept of “capacity” when making an evaluation as to whether mediation should continue or not. Although there is no agreement in the literature as to how you determine disputant capabilities, thinkers have posited various theories: educational, multiple intelligences, critical thinking, decision-making; and legal. This theory of human intelligence, developed by psychologist Howard Gardner, suggests there are at least seven ways that people have of perceiving and understanding the world. Gardner labels each of these ways a distinct "intelligence” in other words, a set of skills allowing individuals to find and resolve genuine problems they face.
. . . to decide on well-considered, well-understood, realistic action toward goals every member wishes to achieve. A group decision implies that some agreement prevails among group members as to which of several courses of action is most desirable for achieving the group's goals. Making a decision is just one step in the general problem-solving process of goal-directed groups—but it is a crucial one. After defining a problem or issue, thinking over alternative courses of action, and weighing the advantages and disadvantages of each, the group decides which course is most desirable to implement. To ensure high-quality decision making, each alternative (1) must receive a complete and fair hearing and (2) be critically analyzed to reveal its strengths and weaknesses. (Deutsch, 2000). Accordingly, similar to the education theory, good decision-makers have to understand the information (and be exposed to as many prism of an issue as possible); analyze these issues; make a decision and understand the consequences. After our learning and decision making discoveries, we next explore four legal conceptual models. Then, we will explore how conception compares with reality. The Sliding Scale model provides that the more serious the mental condition, the more stringent is capacity considered (Weyrauch, 2000). Thus, capacity to decide whether to use a cough medicine is substantively different from withdrawing a feeding tube. Accordingly the standards are higher for the more serous care decision. Arthur L. Finkle, “A Mediation Primer,” (lead article) Association for Conflict Resolution E-zine, June 5, 2001. National Council on Aging, Guardianship and Protective Services for Older People, 1963[hereinafter 1963 Council on Aging Report] (discussing options for financial management of incapacitated persons). RPC 1.14 Client Under A Disability, Trenton, NJ: NJ Courts, 2003. Paul F. Stavis, “The Nexum: A Modest Proposal For Self-Guardianship By Contract, A System Of Advance Directives And Surrogate Committees-At-Large For The Intermittently Mentally Ill,” The Catholic University of America Journal of Contemporary Health Law & Policy, 1999. Art Finkle is a Phi Beta Kappa graduate and received a MGA degree from The Wharton School of the University of Pennsylvania. Listed in Marquis’ Who's Who in Government, American Education and American Law, he has been a practitioner for twenty-five years. A practicing mediator, Finkle teaches both graduate and undergraduate courses at Kean University and Edison State College. Finkle has published four books, more than 180 professional articles and numerous Internet articles covering human resources, mediation, ethics, school administration and religion. Finkle is the Newsletter Editor of the National Association for Conflict Resolution, Workplace Section; on its Public Policy Committee; Website Committee; and Diversity Committee. Finkle also is President of the Association for Conflict Resolution, New Jersey Chapter. Jon Linden is a Mediator, Trainer and Business Consultant. He holds an BS in biology and an MBA, both from Lehigh University in Bethlehem, PA. Jon spent 20 years in the Food Service Distribution business, where he was the COO and Sr. V-P of a Distribution Center of a major Fortune 500 company in the New York Metropolitan area, before becoming an independent consultant and Mediator. His responsibilities included Human Resources, Labor Relations and many other functions. He was the chairman of the company internal Ethics Committee for 6 years. Jon is a contract mediator for the Federal Equal Employment Opportunity Commission (EEOC) and mediates for the Superior Court system of the State of New Jersey, as well as for private clients. He is the President and Founder of Proactive Intervention, L.L.C. and an Accredited Professional Mediator (APM) for Civil/Commercial Mediation by the New Jersey Association of Professional Mediators.